This website respects Authors' Rights. All rights of authors of protected works reproduced and conveyed on this website are reserved. Any unauthorized use of the works other than individual, private consultation and reproduction is prohibited. 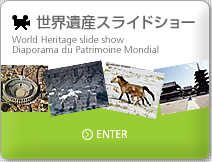 Musicienne, Artiste de l’UNESCO pour la Paix, Ambassadrice des relations musicales pour les evenements commemoratifs du 1300eme anniversaire de l’ancienne capitale Nara Heijo-Kyo. Tout en etant inscrite a l’Institut universitaire de musique de Toho, section theorie de composition musicale, elle a commence ses activites professionnelles de composition dans le domaine de l’audiovisuel pour des series televisuelles a succes, des publicites et le cinema. Elle a etudie en France sous la direction du compositeur Jean-Claude Petit. Depuis 1988, Missa Johnouchi est accompagnee de l’Orchestre National de l’Opera de Paris ainsi que l’Orchestre National de Paris pour la production de ses albums. En 1993, elle a participe au concours international des chefs d’orchestre de Besancon. Son album de compositions originales asiatiques, " Healing music ", se retrouve dans la liste des meilleures ventes d’albums dans les pays occidentaux et devient un tres grand succes. Parmi ses multiples interventions, elle a donne un concert reprenant ses propres compositions, en tant que pianiste et chef d’orchestre, dans le departement de Nara, en exclusivite mondiale, devant le Kofukuji et le Higashikondo (designes comme tresors nationaux). Missa Johnouchi a realise, compose et joue la musique de la ceremonie d’ouverture au festival des fleurs de Hamanakako, intitulee ≪ Nouvelles elegances des fleurs ≫, dont la mise en scene etait assuree par un grand maitre de la poesie japonaise, Mannojo Nomura. Lors des " Torch-Run Concert du Patrimoine Mondial ? Missa Johnouchi ", organises a l’initiative d’Etats de part et d’autre du monde, l’artiste joue au piano ses propres ?uvres musicales et dirige les orchestres nationaux de ces pays. Elle s’est ainsi produite en Amerique, en Chine, en Tunisie, en Italie, en Australie, au Venezuela, au Perou, au Canada, en Macedoine, en Roumanie ou encore en France pour des evenements commemoratifs. Au Carnegie Hall de New York, 200 membres des familles des victimes du terrorisme du 11 septembre ont ete invites au concert organise pour les v?ux de paix. Elle s’est egalement produite pour le 30eme anniversaire des relations nippo-australiennes a l’Opera de Sidney, monument classe au patrimoine mondial. Tous ont tous ete gratifies d’un grand succes. En mai 2007, lors du " Torch-Run Concert du Patrimoine Mondial pour le 35eme anniversaire de la convention concernant la protection du patrimoine mondial " en l’eglise Saint Germain des Pres a Paris, Missa Johnouchi a joue ses propres ?uvres musicales, tout en dirigeant l’Orchestre National de l’Opera de Paris qui l’accompagne. De plus, elle a compose les musiques qui accompagnent les images de l’exposition au Petit Palais de Paris, intitulee " Shokokuji, Pavillon d’Or, Pavillon d’Argent- Zen et Art a Kyoto dans le cadre de la celebration du 150eme anniversaire des relations franco-japonaises et du 50eme anniversaire du jumelage des villes de Paris et de Kyoto ". Elle poursuit encore de nos jours, autant dans son propre pays qu’a l’etranger, sa fonction de messagere de l’UNESCO, comme elle l’a montre lors de sont concert exceptionnel au siege de l’UNESCO le 12 novembre 2009 a Paris. Elle est la premiere " Artiste de l’UNESCO pour la Paix (charge du patrimoine mondial) " japonaise dans la section composition et direction musicale. A l’instar de la chanteuse Celine Dion ou du chef d’orchestre Gergiev, les Artistes de l’UNESCO pour la Paix sont des artistes de renoms choisis et nommes par l’UNESCO chacun dans sa categorie. 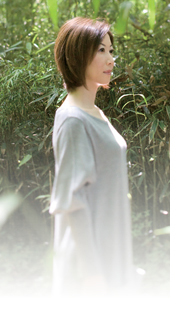 Musician, UNESCO Artist for Peace, Ambassadress of the musical relations for the events commemorative of the 1300th anniversary of the Capital of Nara Heijo-Kyo. While being registered at the Academic institute of music of Toho, section theory of musical composition, she began her activities of composition in the field of audio-visual for televisual success series, publicities and the cinema. She studied in France under the direction of the composer Jean-Claude Petit. 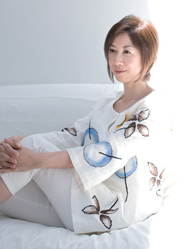 Since 1988, Missa Johnouchi is accompanied by the National Opera Orchestra of Paris and the National Orchestra of Paris for the production of her albums. In 1993, she took part in the international conductors contest of Besancon. Her album of Asian original compositions, “Healing music”, was in best sales albums in the occident countries and becomes a very great success. Among her multiple interventions, she gave a concert taking again her own compositions, as a pianist and a conductor, in the department of Nara, for the first time in the world, in front of Kofukuji and Higashikondo (indicated like national treasures). Missa Johnouchi carried out, composed and played the music of the opening ceremony to the festival of the flowers of Hamanakako, entitled “New elegances of the flowers”, whose production was ensured by a great Master of Japanese poetry, Mannojo Nomura. At the “World Heritage Torch-Run Concert - Missa Johnouchi”, organized on the initiative of States through the world, the artist plays piano his own musical works and directs the national orchestras of these countries. She performed in America, China, Tunisia, Italy, Australia, Venezuela, Peru, Canada, Macedonia, Romania or France for commemorative events. At the Carnegie Hall of New York, 200 victims families of the terrorism of September 11th were invited to the concert organized for the wishes of the peace. She also occurred for the 30th birthday of the Japan and Australia relations at the Opera of Sidney, listed on the list of the world heritage. All were gratified by a great success. In May 2007, at the “World Heritage Torch-Run Concert for the 35th convention concerning the protection of the world heritage” in the Saint Germain des Pres church of Paris, Missa Johnouchi played her own music works, while directing the National Opera Orchestra of Paris that accompanied her. Moreover, she composed the music’s send off the images of the exposition at the Petit Palais of Paris, entitled “Shokokuji, Gold Pavilion, Silver Pavilion, Zen and Art with Kyoto within the celebration of the 150th birthday of the Japan and France relations and the 50th anniversary of the Paris and Kyoto twin cities”. She carry on still nowadays, as much in her own country that abroad, her function of messenger of UNESCO, as she still showed at the time of the exceptional concert to the head office of UNESCO on November 12th, 2009 in Paris. She was the first Japanese lady “UNESCO Artist for Peace (in charge of the world heritage)” in the section music composition and conduction. Following the example of the singer Celine Dion or the conductor Gergiev, the UNESCO Artists for Peace are famous artists and selected by UNESCO each one in her category. Copyright (C) 2009 World Heritage Torch-Run Concert Organization . All Rights Reserved.